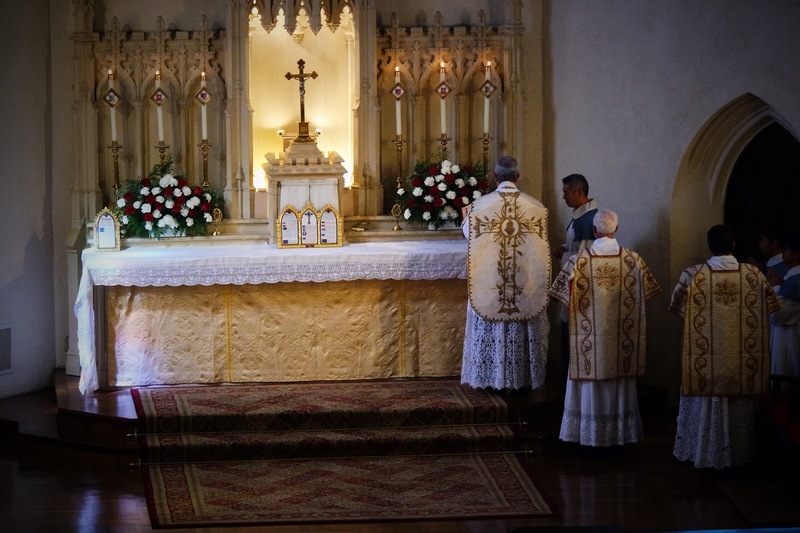 St. Margaret Mary Church in Oakland, California, was the site for the celebration of the Jubilee Mass of the Rev. Jeffrey Keyes on October 23. 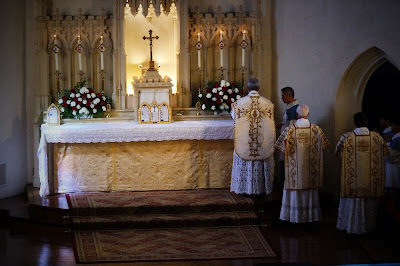 The Mass in the Extraordinary Form marked the external solemnity of the parish’s patronal feast, with a commemoration of the 23rd Sunday after Pentecost. Fr. Keyes was assisted by the Rev. 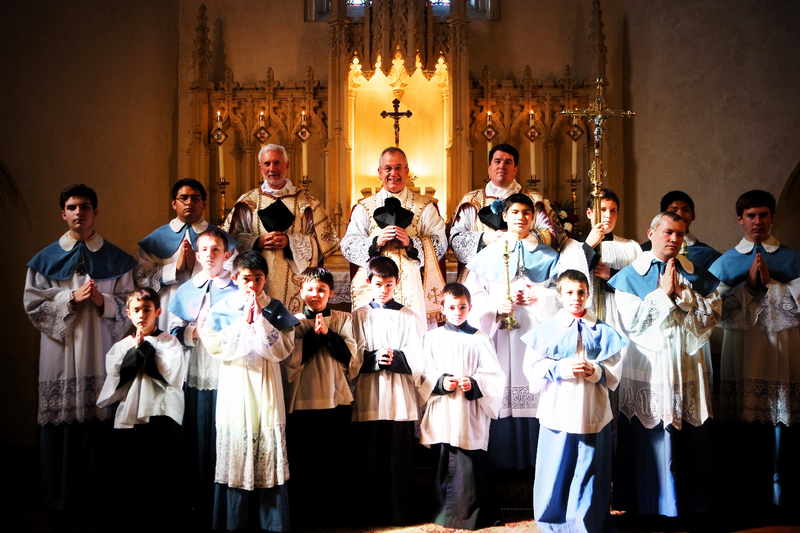 Joseph Illo as deacon, and Abbé Kevin, ICKSP, as subdeacon, as well as the servers of St. Margaret Mary Parish. Fr. Keyes, who now works as a chaplain and high school teacher in the diocese of Santa Rosa, will continue his Jubilee with a Mass in St. Eugene’s Cathedral, Santa Rosa, on October 29, at 4 p.m. in the presence of his former student Most Rev. 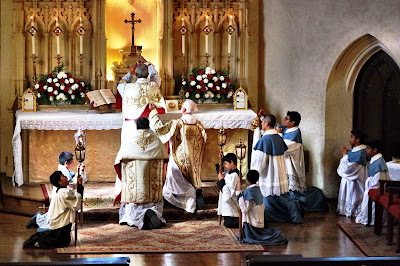 Steven Lopes, Ordinary of the Personal Ordinariate of the Chair of St. Peter. 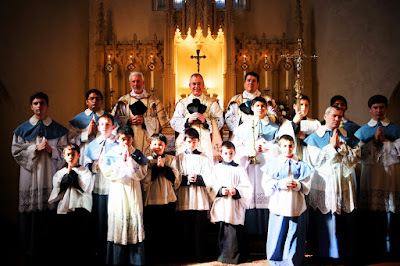 The author of the blog Omnia Christus Est Nobis, Fr. Keyes is a member of the Church Music Association of America and is a regular attendee of the annual Colloquium sponsored by the organization.